Jay Wadley Produces: "Mad Men Theme Song ... With a Twist"
That's Jay playing the bongos and conducting! And that coolly confident chanteuse at the mic is none other than the very talented progeny of NBC Nightly News anchorman Brian Williams, Allison Williams. The arrangement is a mash-up of the memorable opening theme song to the AMC cable network's hit show, Mad Men, and the classic song, "Nature Boy," which was originally made famous by singer Nat King Cole. Kudos to Jay and his team for showing the world how a terrific musical arrangement, top notch hair, make-up and costume design, and slickly effective stage lighting can make for a truly great video. 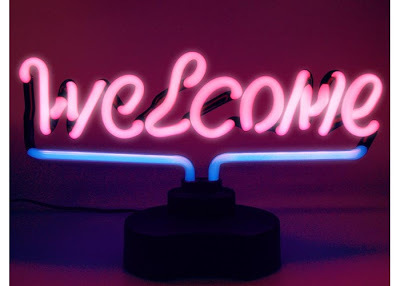 To follow Jay on Twitter, go to http://twitter.com/#!/jaywadley. 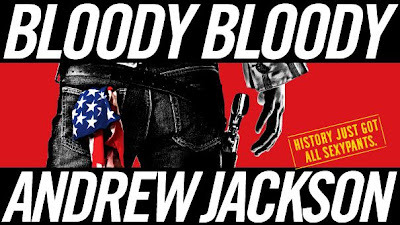 Congratulations to friend and former colleague, Alex Timbers, on his much-acclaimed show, Bloody Bloody Andrew Jackson, making it to the Great White Way! Alex, whom I first met in our early days starting out in the New York theater scene, co-founded and has served as Artistic Director of the award-winning experimental theater company, Les Freres Corbusier, for the past seven years. BBAJ was the brainchild of Alex, who wrote the book and directs the show, and Michael Friedman, who wrote the show's music and lyrics. 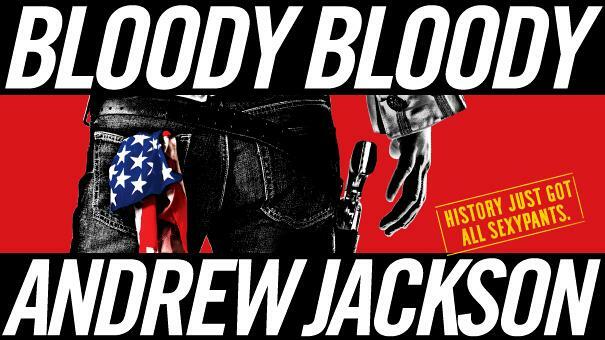 After a successful run at the Public Theater (the same company that helped to workshop and give wings to the transcendent Broadway musical, Passing Strange), Bloody Bloody Andrew Jackson was given the greenlight to officially premiere on Broadway this fall. 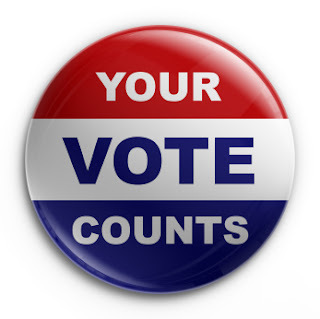 A satirical rock musical about the founding of the Democratic Party, the show focuses on the United States' seventh president, Andrew Jackson, redefining him as an "emo" rock star. Major plot points include the concept of populism, the Indian Removal Act, and Jackson's relationship with his wife, Rachel. The show, which has been in previews since September 21st, opens this Wednesday, October 13th, at the Bernard B. Jacobs Theatre.